Afghanistan does not have many roadways but the few it has are treacherous - a result of both roadside attacks and poor maintenance. 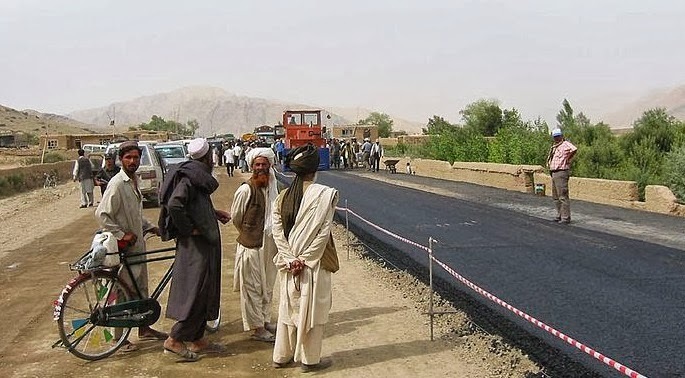 "Since 2012, the United States has refused to fund the Afghan government’s road maintenance projects because it has no faith in the country’s ability to perform even simple tasks, such as dispatching a contractor to fill in a pothole or repaving a stretch of highway," reports Kevin Seiff for The Washington Post. He adds that the US continues to build new roads to assist the economy. "The new, U.S.-built highways seemed to be a godsend for this impoverished nation. But the projects became notorious for their exorbitant costs and poorly implemented contracts." Taliban fighters target the roads, knowing that they are security priority. Military vehicles patrol the road and regularly clear them of IEDs. Highway 1 is the "lifeline," suggests a member of the US Army’s 3rd Squadron, 2nd Cavalry in a report from Alexa Pena for Stars & Stripes. As US troops prepare to leave this year, responsibility for patrols and checkpoints is being handed over to Afghan troops. More than two thirds of Afghans live within 30 miles of Highway 1. The highway, also known as A01 is 2,200 kilometers, circling the country, connecting major cities. In the sequel to Fear of Beauty, two characters travel Highway 1 from east of Lashkar Gah in Helmand to Kandahar, and only one returns to the small fictional village of Laashekoh. Photo of Highway 1 reconstruction in 2003, courtesy of USAID and Wikimedia Commons. 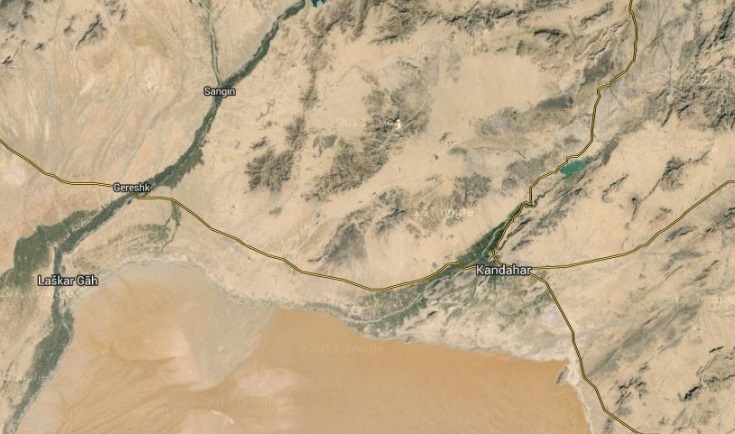 Screenshot of the 137-kilometer stretch of Highway 1 between Lashkar Gah and Kandahar, courtesy of Google Maps.